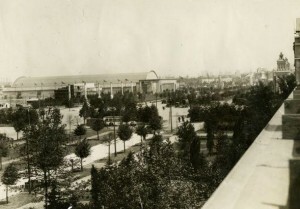 Previously undeveloped land in South Philadelphia became a landscaped fairgrounds for the Sesquicentennial International Exposition. Freed for development after the fair, the grounds became Franklin Delano Roosevelt (FDR) Park, Marconi Plaza, the Packer Park neighborhood, and the sports complex. An eighty-foot-high replica of the Liberty Bell, electrified with 26,000 fifteen-watt light bulbs, was part of an elaborate lighting scheme for the fair. The exhibition halls, each painted a different pastel shade, were lit at night with mechanically rotating lights. Stadium lighting allowed various sports to be played at night. 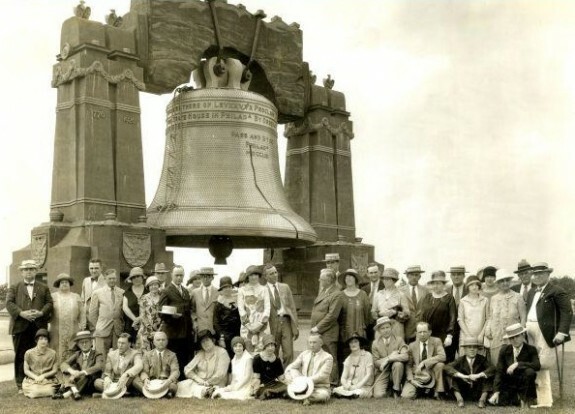 Although falling short of expectations in many ways, the Sesquicentennial did draw some tourists to Philadelphia, as indicated by this group wearing hats labeled "Florida" and posing with the Liberty Bell gateway to the fair. 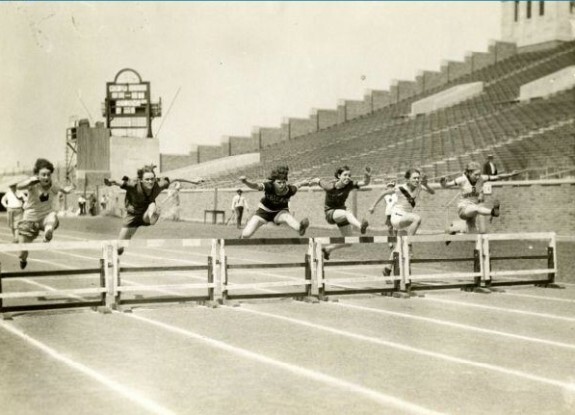 The Sesquicentennial Stadium (later John F. Kennedy Stadium) hosted sporting events including the A.A.U. 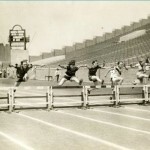 National Women's Track and Field Championships held July9-10, 1926. 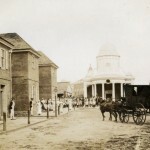 Despite the many authentic historic sites in Philadelphia, a newly constructed Colonial High Street on the Sesquicentennial grounds became one of the popular attractions of the fair. A costumed guide adds to the pageantry of the Sesquicentennial's Colonial High Street. 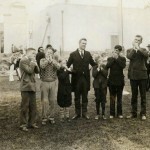 Flanked by harmonica-playing boys, Ohio Governor Vic Donahey dedicated the Ohio Building at the Sesquicentennial on July 20, 1926 -- a late date indicating the slow pace of construction that plagued the event. 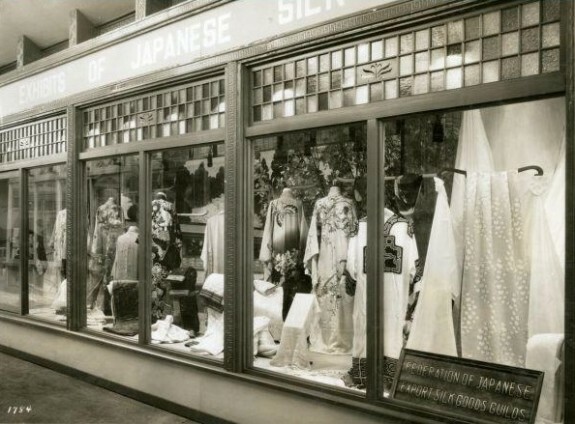 While Philadelphians had argued over competing visions for the fair and a celebration of culture or commerce, both impulses could be seen in Sesquicentennial exhibits such as this display by a Japanese trade association. Seizing the opportunity of the Sesquicentennial, this postcard published for La France laundry powder, "There is also an Exposition of Woman's Freedom from wash-day drudgery -- LA FRANCE -- which makes any soap (bar, flakes or powder) clean quicker and better...."
Enterprising Philadelphians offered their homes for tourists, including this six-bedroom, two-bath stone home at 6244 Wissahickon Avenue facing Fairmount Park. The owners offered it for rent for one, two, or three months during the Sesquicentennial. 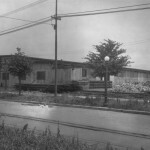 Planning for the fair suffered, however, from struggles for control of the SCEA and from SCEA members’ divergent visions of what the exposition should emphasize. Should it celebrate commerce or should it stress progress in the arts, science, and education? Mayor Moore and the Chamber of Commerce, headed by Alba B. Johnson (1858-1935), favored the commercial vision. For them the fair was a business opportunity, a chance to use Philadelphia’s historic legacy to attract visitors (and their dollars) to the city. Championing the opposing view was Edward W. Bok (1863-1930), editor of Ladies Home Journal and son-in-law of Cyrus H. K. Curtis (1850-1933), Philadelphia publishing magnate. 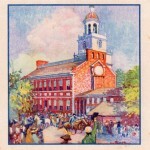 An immigrant who had made good in America, Bok sought to enhance the reputation of his adopted city. 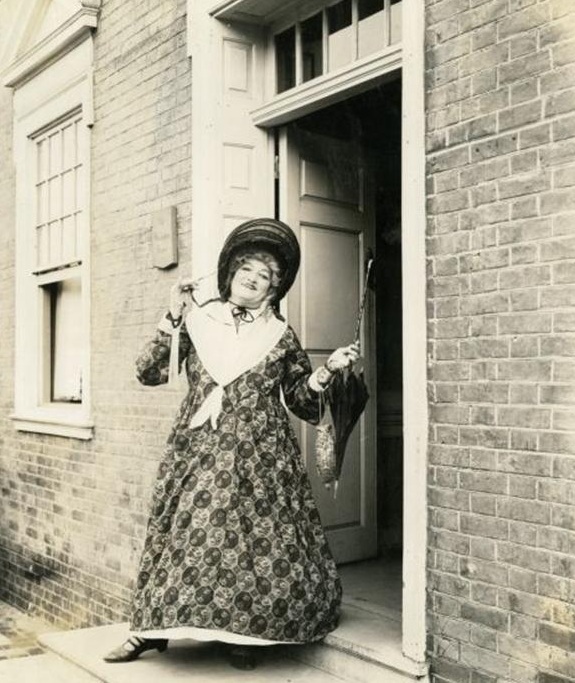 He wanted to broaden the appeal of the fair both nationally and internationally by avoiding crass commercialism and by emphasizing Philadelphia’s role in American history. Planning also was hampered by a lack of public enthusiasm. Attempts to get city residents to fund the exposition by buying shares in the SCEA were unsuccessful. Residents also actively protested the original proposed site for the fair in Fairmount Park. 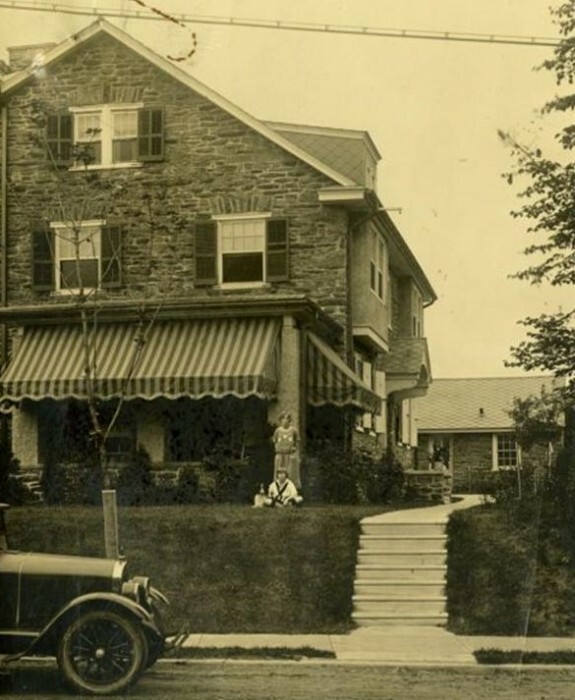 Worried that taxes would be increased for an enterprise that would only benefit real estate and commercial interests, they argued that Philadelphia needed housing and new infrastructure, not an international party. Church leaders warned the fair would attract criminals and other undesirables. Labor feared higher prices resulting from increased numbers of visitors to the city. Because unemployment was low, they saw no need for temporary jobs, which they believed would attract people from out of the city and add to competition for jobs after the fair. Management feared higher wages and losing workers to jobs at the fair ground. Opposition coalesced in the Anti-Sesquicentennial League. Even Mayor Moore, who resigned as SCEA president in May 1922 in part because of his clash with Bok and in part because he realized that public support for the enterprise was thin, came out publicly against the fair by the end of 1923. 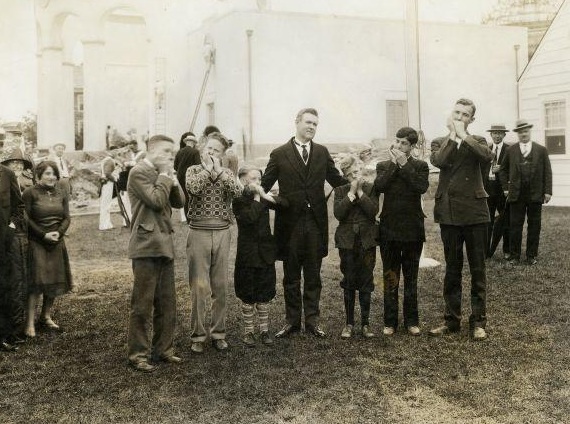 By the time W. Freeland Kendrick (1873-1953) became mayor in 1924, little planning for the fair had been accomplished. Kendrick, a member of the Republican political organization headed by William Vare (1867-1934), took charge of the SCEA. 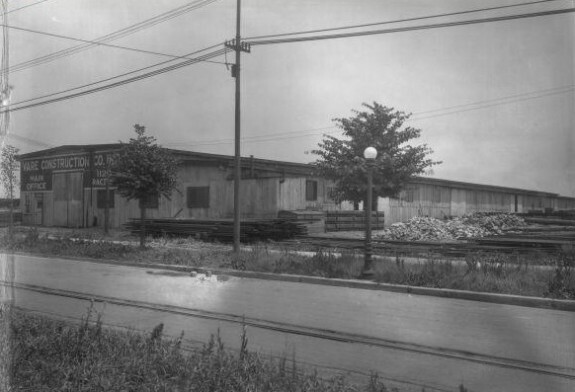 He abandoned the Fairmount Park site and relocated the fair on previously undeveloped land in Boss Vare’s backyard in South Philadelphia just above the Navy Yard at League Island. Vare and his associates cared little about the vision for the fair. Instead, they focused on the profits they would earn from city contracts and increased property values. 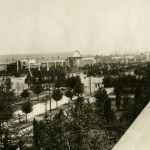 The swampy land was drained and filled in (with dirt excavated from the North Broad Street subway project), and construction began on the exposition’s buildings in the fall of 1925. 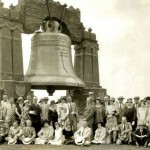 The fair opened on May 31, 1926, and ran through November 30, in South Philadelphia between the Naval Yard and Packer Avenue, and between Tenth and Twenty-Third Streets. On hand to participate in the opening ceremonies with Mayor Kendrick were Secretary of Commerce Hoover and Secretary of State Frank B. Kellogg (1856-1937). Unfortunately for early fair goers, the fair was open, but it was not quite finished. Several buildings remained under construction until late July, nearly two months into a six-month run. When construction was complete the fair offered an impressive collection of buildings. Five large “palaces,” or exhibition halls, provided acres of indoor exhibition space, and pavilions represented thirty-one states, four territories, and nine foreign nations. The city built the permanent, horse-shoe-shaped Municipal Stadium (renamed John F. Kennedy Stadium in 1964 and torn down in 1992), measuring 710 by 1020 feet, on the fair grounds. It became the site of a recurrent patriotic pageant called “Freedom,” large outdoor religious services, and various sporting events (including the championship boxing match between Gene Tunney and Jack Dempsey on September 23 attended by 125,000 people in the pouring rain). A re-creation of colonial Philadelphia’s High Street featuring more than twenty buildings was another highlight. Fair-goers also found a Forum of the Founders consisting of thirteen pylons, each thirty-nine feet high, representing the original colonies. 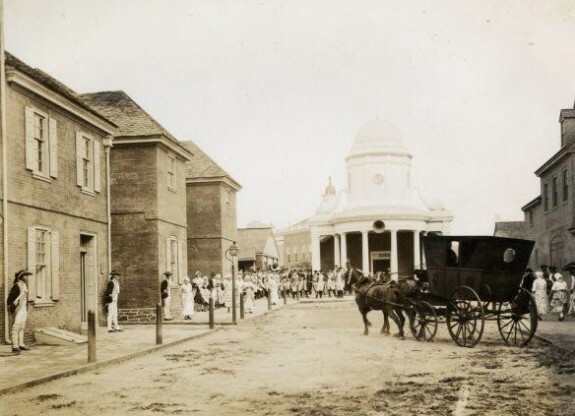 The Sesquicentennial had a ten thousand-seat auditorium, an emergency hospital, a fire station, and its own working Post Office. 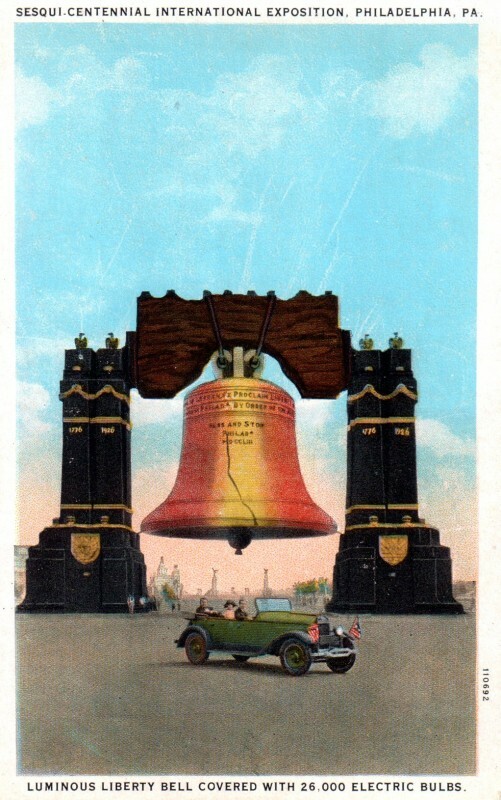 Straddling Broad Street just above the fair’s entrance on Packer Avenue was an eighty-foot-high replica of the Liberty Bell with 26,000 fifteen-watt light bulbs, part of an elaborate lighting scheme for the fair. The exhibition halls, each painted a different pastel shade, were lit at night with mechanically rotating lights. Stadium lighting allowed various sports to be played at night. On June 6, construction began on a 175-foot tall Tower of Light that was designed to cast a beam of light seventy miles. Unfortunately for visitors, fair organizers ran out of money before the tower was completed. In spite of the fact that fifty million people lived in the region within 500 miles of the fairgrounds, thus prompting predictions that thirty million people would visit the exposition, only 4,622,211 people actually paid to attend (of 6.4 million total attendees). Attendance figures were so bad by the end of June that the organizers decided to violate the city’s 132-year old Blue Laws and open on Sunday. The act allowed people who worked six days a week to attend, but it angered the city’s Sabbatarians, still a force in 1926. Poor attendance prompted fair organizers to keep the grounds open for the month of December to give concessionaires a chance to sell remaining stock. There were several reasons for the fair’s failure. The bickering among its organizers and public opposition was compounded by bad word-of-mouth advertising that stemmed from the ongoing construction when it opened, and bad weather—it rained 107 of the 184 days the fair was open. Some scholars suggest that mass availability of automobiles and motion pictures after World War I relegated all world’s fairs to obsolescence (a notion challenged by later successful fairs). Whatever the reason, after the fair closed, four hundred creditors presented bills totaling $5.8 million. 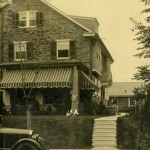 It took until May 1929 for the city to pay off the Sesquicentennial’s tab. Freed for development after the fair, the grounds of the Sesquicentennial International Exposition became Franklin Delano Roosevelt (FDR) Park, Marconi Plaza, the Packer Park neighborhood, and the sports complex. Following the great success of the Centennial Exhibition in 1876, the Sesquicentennial of 1926 proved to be a disappointment. The city initiated planning of another fair for the Bicentennial in 1976, but it refused to host another exposition without funding from the federal government. Martin W. Wilson is Associate Professor of History at East Stroudsburg University. 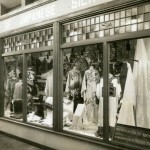 This essay draws upon his research on the history of tourism in Philadelphia between 1926 and 1976. Austin, E.L. and Odell Hauser. The Sesqui-Centennial International Exposition: a Record Based on Official Data and Departmental Reports. 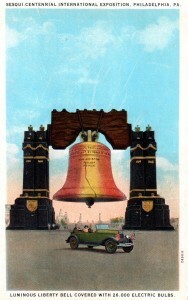 Philadelphia: n.p., 1929. Rydell, Robert W. World of Fairs: The Century of Progress Expositions. Chicago: University of Chicago Press, 1993. Wilson, Martin W. “From the Sesquicentennial to the Bicentennial: Changing Attitudes Toward Tourism in Philadelphia, 1926-1976.” Ph.D. diss., Temple University, 2000. Sesquicentennial Exhibition Association Records, Philadelphia City Archives, 3101 Market Street, Philadelphia. Pamphlets and Graphic Materials, Historical Society of Pennsylvania, 1300 Locust Street, Philadelphia. Pamphlets and Photographs, Urban Archives, Temple University Libraries, 1210 Polett Walk, Philadelphia. Franklin Delano Roosevelt (FDR) Park, Broad Street and Pattison Avenue, Philadelphia. I am looking for any live recordings from the 1926 Sequi-centennial. in Philadelphia. 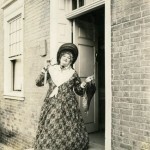 There was a production of the story of William Penn and my grandfather, Jerome Mack, sang. I was hoping someone might know if a recording of this might exist! 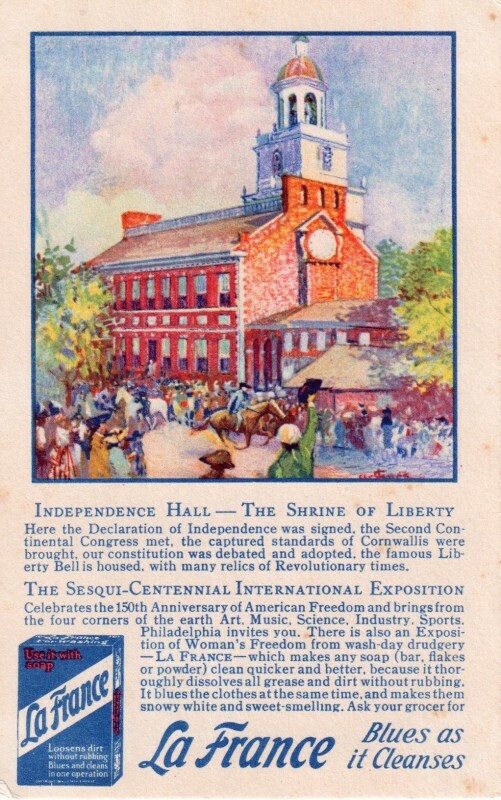 I would also like information on the involvement of Pittsburgh at the Fair – – – – – I understand that Pittsburgh had their own free-standing exhibition hall, and a replica of their famous still-standing Pioneer Fort Blockhouse at the Fair. My father attended this event in 1926 when he was 11 years old. I have a carved shell with his name on it, with a carving of the Liberty Bell and the dates 1776 and 1926. The name of the event is also carved into the shell. Interesting. Interested in articles, photos or information pertaining to the baseball game at the Sesquicentennial between the Navy and Marine Corps “superteams” for the military championship. My father pitched for the Navy in a losing cause.. I have one from Westinghouse light plant. I have an official souvenir silver coin–size of a half dollar-from the the Sesquicentennial International Exposition held in 1926. Can anyone tell me its value? Thank you! I am looking for information on a Herend over glaze sleeve vase that has a label in the bottom that reads “US customs, sesquicentennial International Exposition a Exhibit Entry No. 176, Case No. 14, Lot No. 598. Any info or photo would be appeeciated. I have a a match book holder made of copper from the 1926 exposition and was wondering what the value would be. It has george washington on the front and the sesqui-centennial image on the back with a book of matches with a picture of vicks chap stick on it. maiden name’ So I do not her husband name. The back said’s Pennsylvania R.R. Championships. How could I find a list the names of the 1926 Baseball Champs at the 1926 Philadelphia expo.